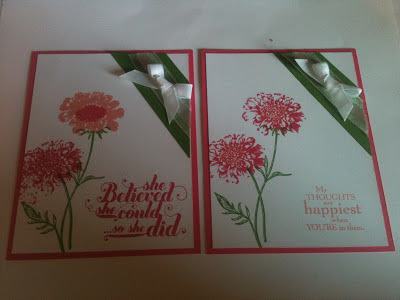 You can see I stamped the inside of the card (using the small flower from Summer Silhouette). I actually lined the envelope with Strawberry Slush DSP from the 2013-2015 In-colors Designer Series Paper stack. 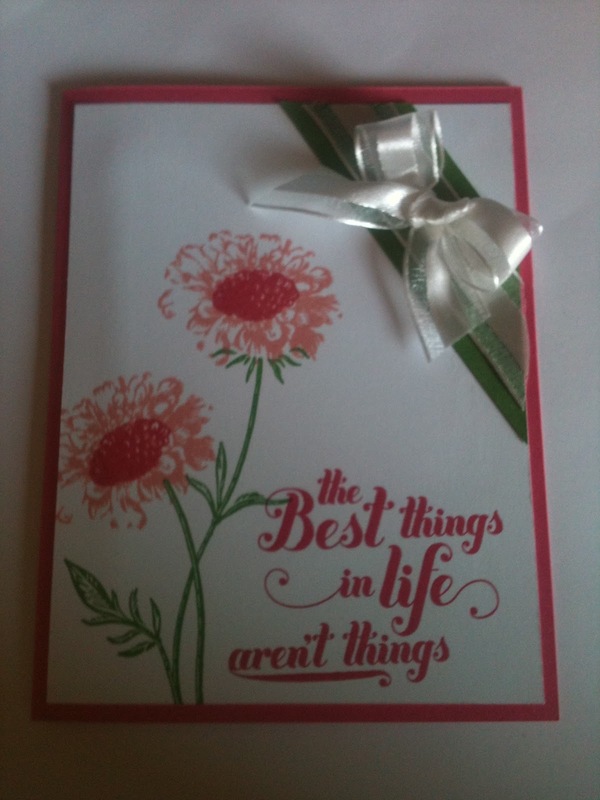 Have you ever lined an envelope before? It's easy! Cut a piece of DSP (not card stock) to 3" x 5 11/16" (one line before the 5 3/4" line). 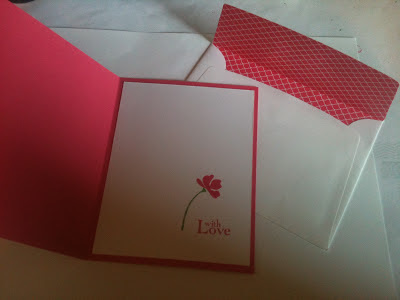 Glue this strip into the envelope and trim excess. Fold flap so that you can see the crease. You are all done... yes, it's that easy! 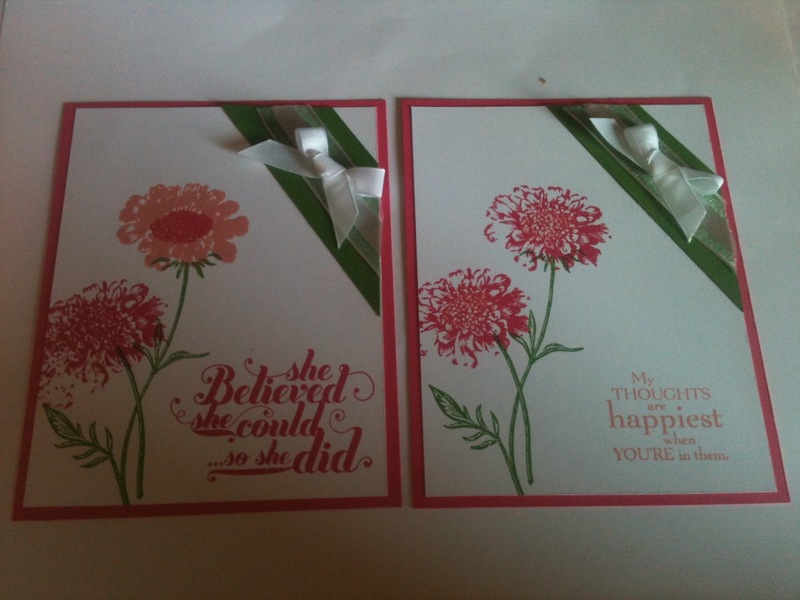 These are two more versions of the card. I love the different looks of each card! See you back here tomorrow for more creativity from Stampin' in the Sun!